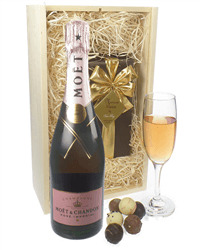 A fantastic gift of Champagne and Belgium chocolates makes for a delicious gift. 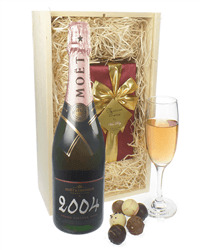 Our selection of Moet & Chandon Champagne and Belgium chocolates gift box includes an assorted box of Belgium chocolates. 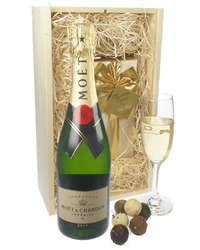 Choose which Moet & Chandon Champagne you would like to send with them, from Brut, Rose, Vintage or Demi-Sec and we will deliver your gift, beautifully presented with your personal message.